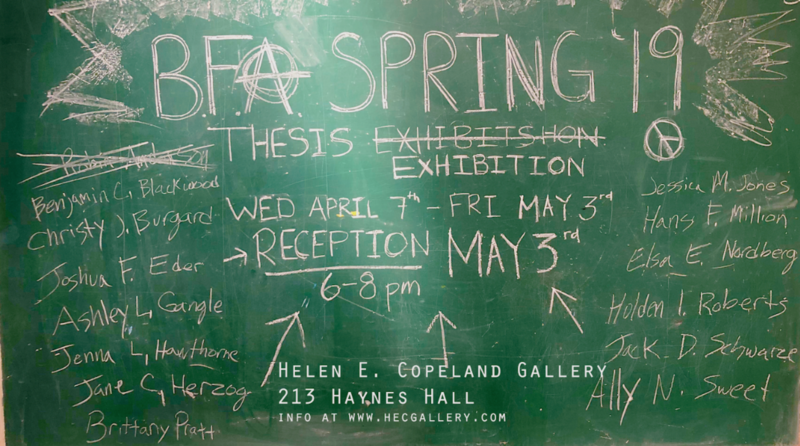 The School of Art presents an MFA thesis exhibition by Xander Clinthorne at the Helen E. Copeland Gallery on the second floor of Haynes Hall. The art reception is free and open to the public. On display is one artists interpretation of gathered creativity exercise results. Artwork will be exhibited in a dark room. If you do not have a smart phone with a flashlight, please bring a light.